This is a brand new color combination for this 2' Magic Carpet with the small frame and it's available for immediate shipment!! 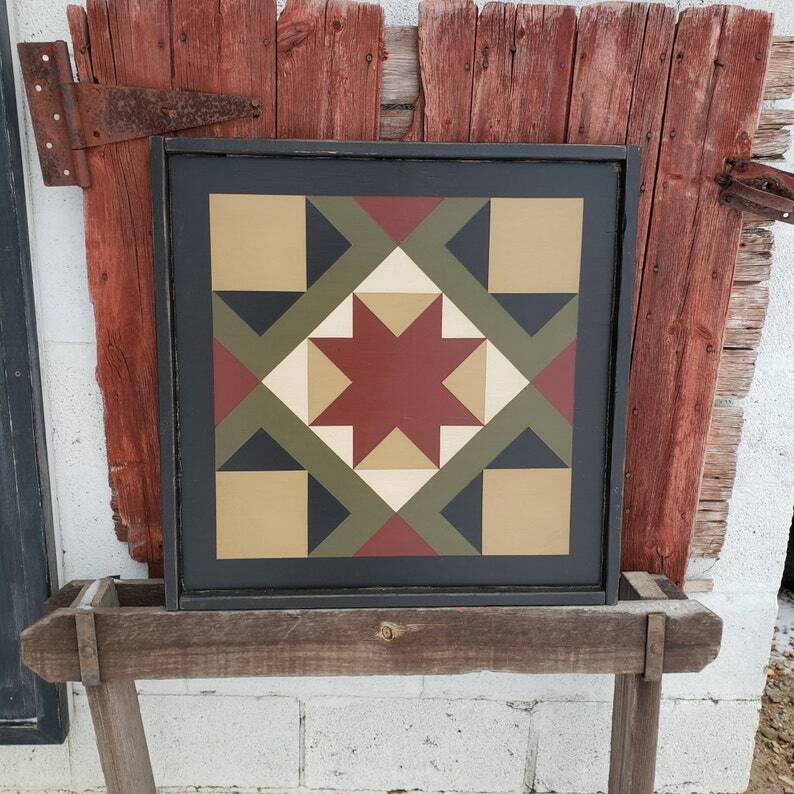 These hand-painted Barn Quilts are very rustic and will look awesome hanging outside on a house or garage or used as inside wall decor as well! Available in many patterns and colors, the pictured colors are Cinder, Ivy, Country Tan, Warm White and Black. Other colors are available by special request. *** Special note that normally all of my quilts are on a MADE TO ORDER basis, HOWEVER this one is available for immediate shipment! Also note all of my quilts have a painted black border IN ADDITION to the black frame. It's my signature look. Not all of the quilts pictured have the exact frame style for that listing. Refer to the last picture on the listing for a close-up of the frame and black border. The width of border is determined by the pattern and size of the quilt, but is usually between 1 1/2" to 3" in width.